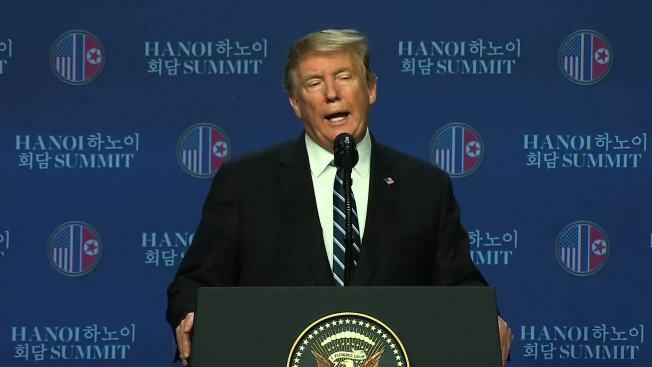 Kim Jong Un was not responsible for horrific injuries sustained by American student Otto Warmbier, who died shortly after being released from 17 months of detention in North Korea, President Donald Trump said Thursday at a press conference after the nuclear summit in Hanoi collapsed, according to NBC News. "Some really bad things happened to Otto — some really really bad things. But he tells me that he didn't know about it and I will take him at his word," Trump said, referring to the North Korean dictator. Warmbier's father Fred described his son being returned to them on a stretcher blind, deaf and "jerking violently making these inhuman sounds." Otto died days after his release. North Korea is one of the world's worst rights abusers and most repressive governments.